Al Marelli provideds hands-on guidance during training classes with all students. 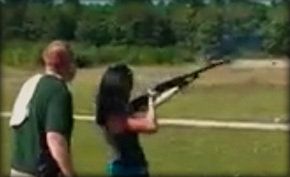 Michael Marelli is side-by-side with his students teaching the skills needed to perfect their shotting ability. From first-day beginners to seasoned tournament shooters, Long Island Top Shots caters to all levels of instruction. Every participant’s experience, ability, and desired gains are carefully assessed so classes can be tailored to meet the needs of a particular group. During instruction, advice and information is customized to each individual as well. The result is a more enjoyable and effective use of everyone’s time. By gaining a better understanding of the game and their specific needs, all of Al's clients will realize immediate improvement as they apply critical principles to clay target and other shooting disciplines. Whether you desire to compete at the top championship levels, or simply want to learn the fundamentals of shooting, Al Marelli will help you attain your goals. One-on-One Instruction targeted to your specific needs. Initial lesson requires a 1 hour commitment. We recommend a minimum of one hour a month follow-up instruction to establish proper shooting techniques, hone your skills, and see real measurable improvement. Our location is truly state of the art making it perfect for corporate outings. Alvin will entertain your staff or clients for an entire day in groups as large as 16 people. 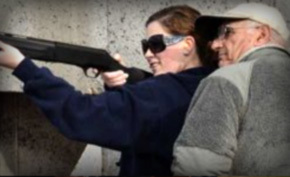 He will teach proper procedures for safe gun handling, instruct beginners in basic shooting skills, and help more seasoned shooters hone their abilities.